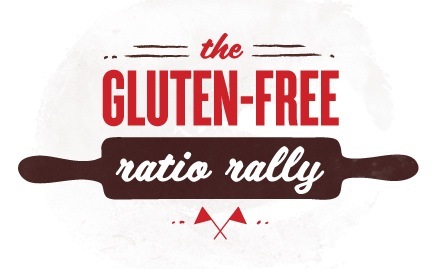 Another month, another Gluten-Free Ratio Rally! Last month the theme was crepes. Did you see our mini stacks of key lime crepes? If not, go check ’em out! This time around, we’re tackling everyone’s perennial favorite: brownies! But how do you reinvent the classic brownie? When Kelli and I sat down to brainstorm, we came to the table with different ideas that were surprisingly compatible. She thought to make brownies using Mexican chocolate, which is flavored with cinnamon. My idea was to incorporate some mesquite flour into our brownies. Coincidentally, mesquite flour also often has notes of cinnamon in its flavor profile. We decided to marry the two ideas and make Mexican chocolate mesquite brownies, with an easy caramel sauce to tie it all together. 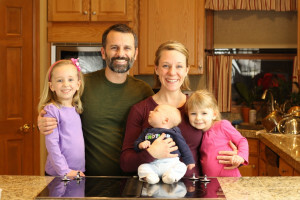 To see what delicious brownies other Rally-ers baked up this month, be sure to check out Frannycakes, our host this time around. And what about our ratio? We ended up darn near 1 part flour : 2 parts egg : 2 parts sugar : 2 parts butter : 2 parts chocolate. Pretty neat and tidy. Bada bing, bada boom, as they say. 1. In a heavy saucepan, stir together the sugar, water, and corn syrup (if using). 4. Stir vigorously and cook for 1 to 2 minutes, until the sugar and cream melt together and create a smooth texture. 5. Remove from the heat, add the vanilla, stir, and let cool. 6. Preheat the oven to 350 deg F. Grease an 8×8-inch baking pan. 7. Melt the butter and chocolate in a saucepan over medium heat, stirring with a whisk to combine. 8. Remove from the heat and stir in all remaining ingredients. 9. Pour the batter into the prepared pan. Drizzle with half the caramel sauce. 10. Bake for about 25 minutes, until the brownies are set around the edges. 11. Cool completely. Then cut and serve, drizzling brownies with the remaining caramel sauce. Caramel sauce can sometimes turn grainy when cooled completely. To prevent this crystallization, use 1 tsp corn syrup. However, if you’re averse to using corn syrup, simply omit it. 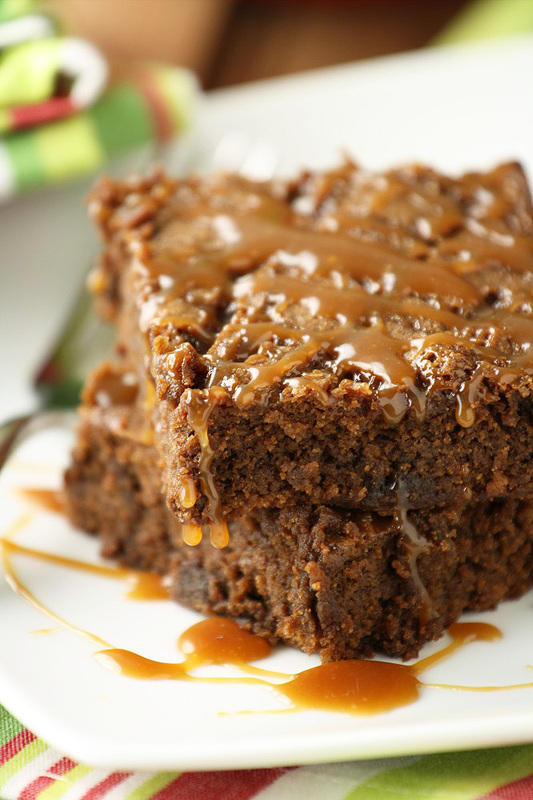 Also, when drizzling the finished brownies with the remaining caramel, you may need to re-warm the caramel slightly to achieve a “drizzle-able” consistency. 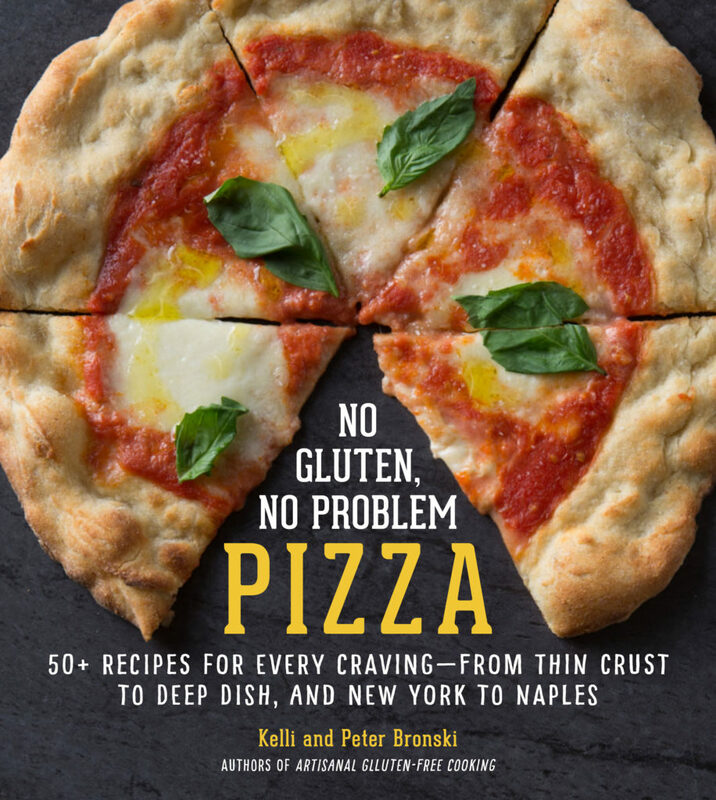 To make this recipe corn-free, omit the corn syrup, and use an all-purpose gluten-free flour blend that does not include cornstarch. Sorry … the recipe calculator we use doesn’t have info for ingredients such as mesquite flour, so no nutrition info for this recipe. Wow, that caramel looks amazing! Lovely brownies. I would love these. Love mesquite, Mexican chocolate and caramel. What a combination – great job on making our mouths water! 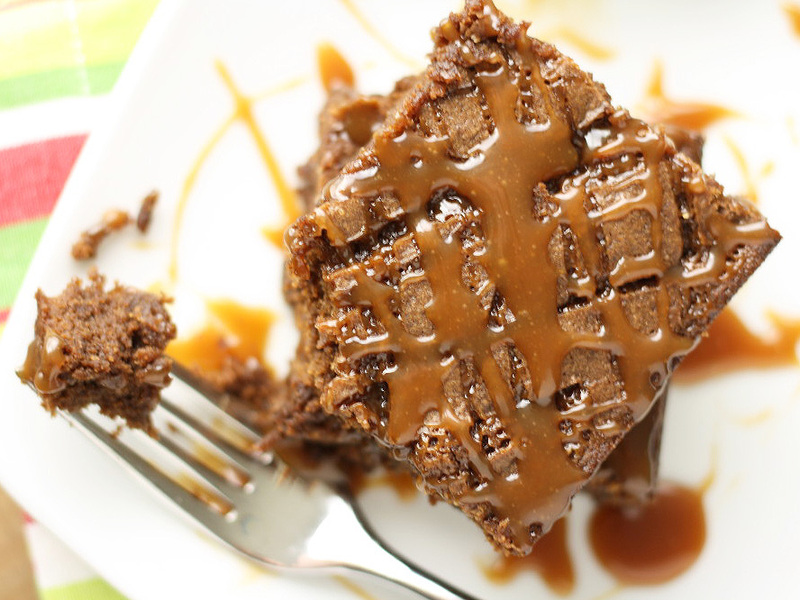 Loving the thought of these brownies, and the caramel is such a nice touch! What a combo! Yum! these look delicious! Mexican chocolate and caramel – oh my! Now I really do have to try the mesquite flour that is in the cabinet! I love how the two of you came up with different, but compatible, ideas for your brownies! And they look and sound delicious. I actually have some Mexican chocolate and mesquite flour hanging around in my pantry . . . they may be destined for brownies. Bada bing. I love it! The look of that caramel looks wonderful. I could see having these with a cup of spiked Abuelita (mexican hot cocoa). P.S. I’ve made your jerk chicken twice in the last month. It’s a new family favorite! Ah, another mesquite user! We’re EVERYWHERE this GFRR… I love it. This is an amazing recipe, and the photos show a treat that is moist, cakey, and extremely hard to only eat one. first of all, i love that you two conspire together on these recipes. secondly, your brownies look divine. clearly, caramel is a great brownie choice :), but i love the mexican twist! i need to get me some mesquite flour real soon. 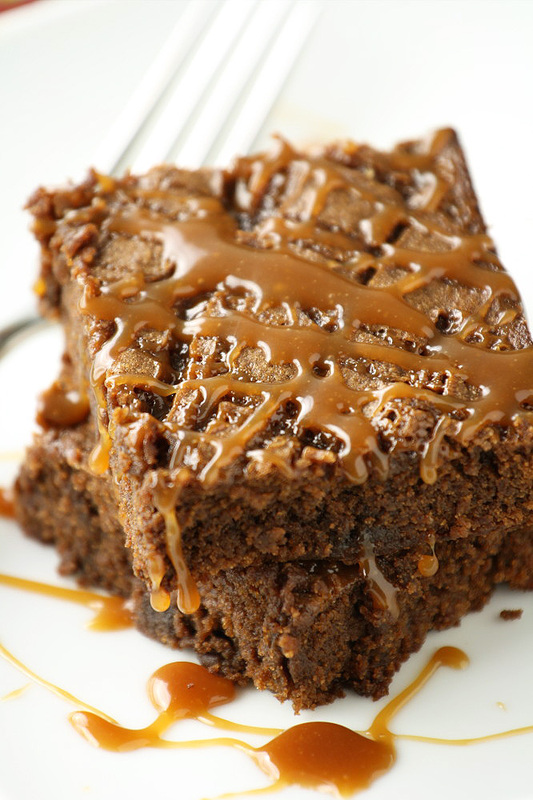 The photos of the caramel dripping off the brownies is insanely appetizing. Wonderful Rally post! You can never understand allergy symptoms when you are not familair with different types of allergies. We must also know what foods trigger allergy.